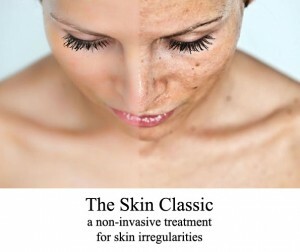 The Skin Classic is a non-laser, high-frequency technology for the rapid treatment of minor skin irregularities such as telangiectasis, spider veins, cherry angiomas, fibromas, skin tags, hyperpigmentation and milia, to name a few. 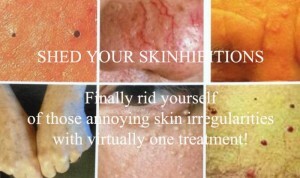 Skin Classic treatments are quick and relatively painless. Small skin tags or blood spots disappear immediately and hyper-pigmented areas such as liver or “age spots” take only a few seconds. There is minimal discomfort for the client and healing time is short, from a day or two for skin tags to a few weeks for larger skin abnormalities such as fibromas. Many treatments can be completed in as little as 30 minutes.